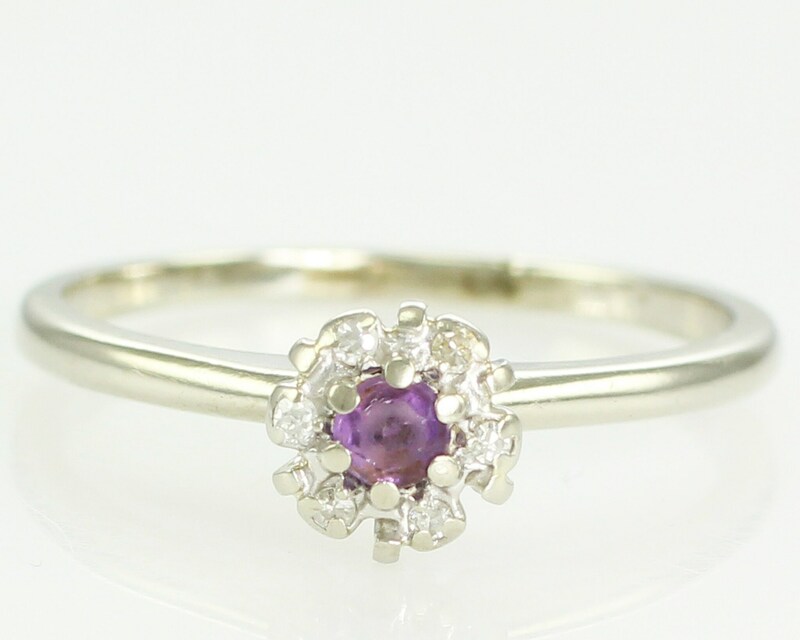 Vintage 14K White Gold Ring with Amethyst Surrounded by Diamonds. 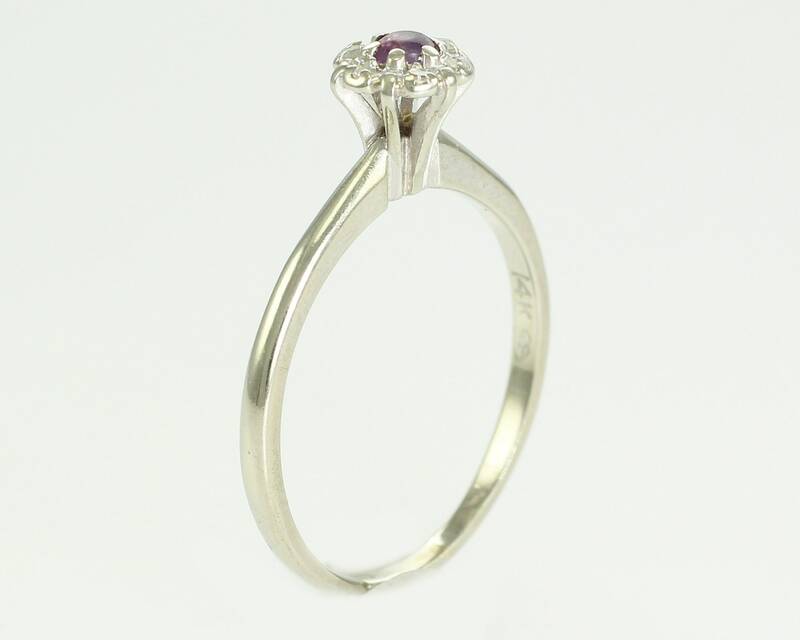 Made in the 1960's, this dainty promise or engagement ring is set with one round faceted amethyst, weighting .05CT, as estimated by measurement. This prong set amethyst is surrounded by six prong set single cut diamonds with an estimated combined total weight of .05CTTW. 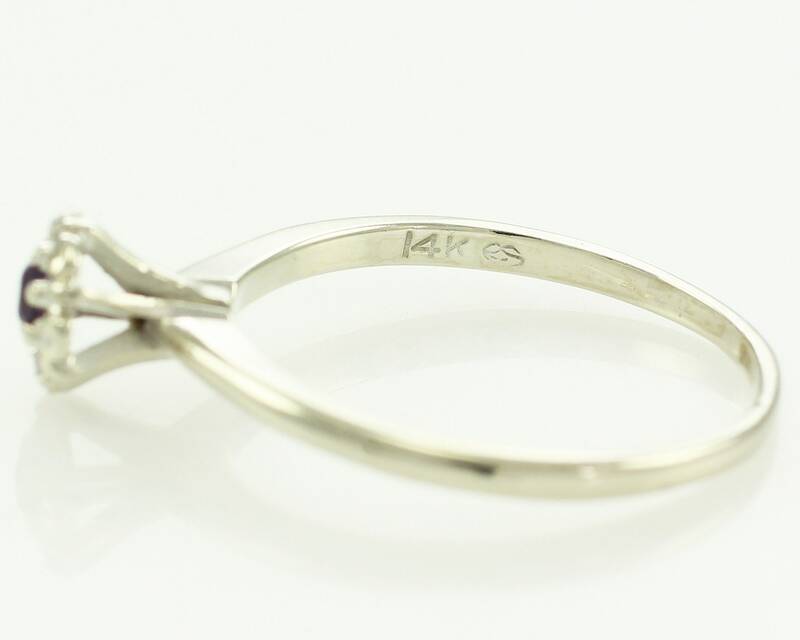 The ring is stamped 14K, with a stylized ES for the maker's mark. 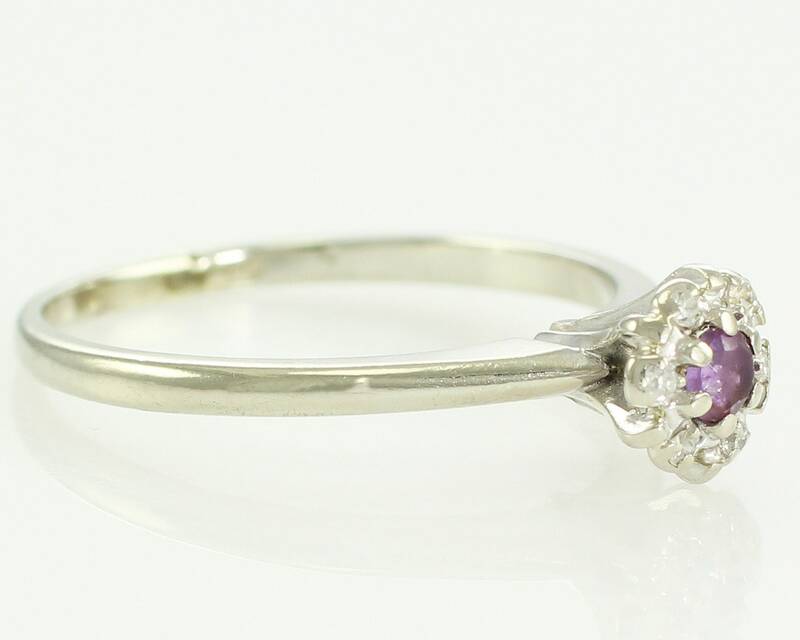 The piece is in Good Vintage Condition, with minor surface wear appropriate to age and obvious abrasion to the surface of the amethyst. CONDITION: Good Vintage Condition, with minor surface wear appropriate to age and obvious abrasion to the surface of the amethyst. MEASUREMENTS: The ring is 6.5 mm in diameter at the head and tapers to 1.6 mm at the reverse of the shank. It is a size 7.